It does make dipping sandwich cookies easier. Kids and adults enjoy dipping AND keeping fingers clean. Great stocking stuffer. Great guy or kid gift! I gave these as stocking stuffers for each of my son-in-laws and husband. They each got a kick out of such a novelty item! Great gift! My husbands a cookie dipper and he enjoys this thing! It was so exciting to find that they actually had something like this....too perfect. These are great fun and a great excuse to eat cookies! The kids love them! These made great stocking stuffers! The whole family loved them. I gave these with oreo cookies as birthday gifts to several people. They were the hit of the gift opening. Sometimes novelty gifts are the best. when we bring out the milk and sandwich cookie snack, they run to the kitchen drawer for their dippers ...they have such fun with them. and since they come in a set of 4..i can have one too! 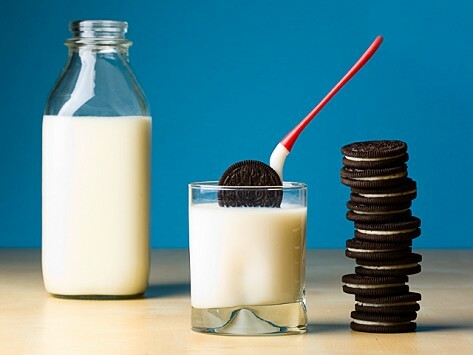 Dunking a cookie into a big glass of milk is a childhood memory with which almost all of us can recall. The sticky and messy hands we were left with after each dunk were always so worth it. Founded by Robert and Julie Haleluk, the Dipr is the ultimate cookie spoon that allows you to enjoy dipping without the added mess or the threat of dropping your cookie into the milk. 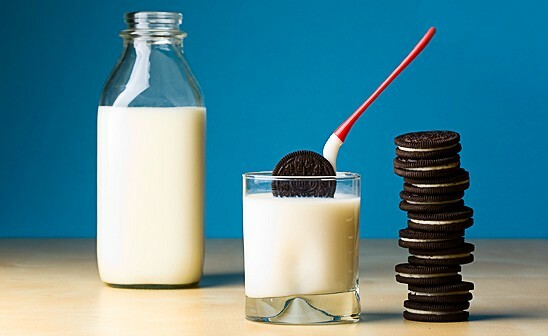 It is a new type of utensil allowing you to dunk your sandwich cookie in milk, or any other liquid, by cradling the cream. It is available in five fun colors.